If you want to help Ecuador, please donate cash. Now is not time to rush to the rescue as a volunteer… yet. Certainly, volunteers have a place in disaster recovery, but done incorrectly, volunteers can do more harm than good as was witnessed after the Haiti earthquake. At this time, if you really want to help with disaster recovery in the days after the earthquake, the best thing you can do is donate to a reputable organization that already has people on the ground. I, personally, trust Global Giving and its Ecuador relief fund, though there are other highly rated and reputable funds you there. When everyone wants to go to Ecuador to help that means prices will go up on everything. The cost for airfare, hotels, in-country transportation, food, and water – all of which are in short supply – will rise because of increased demand. In the not too distant future, media will turn its attention elsewhere and the desire to help Ecuador will diminish. When it does, that is when your time and talents will be needed the most. Philanthropic contributions will go elsewhere, aid dollars will seize, and local organizations will no longer have access to resources needed to sustain development. Just look at the persistent challenges of Haiti 6 years after its massive receipt of aid money. 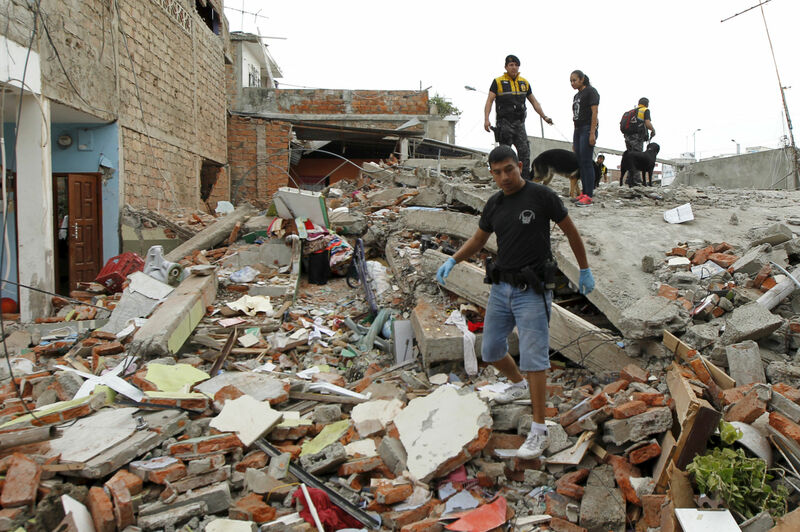 Once the money is gone and aid organizations have moved to fight the next disaster, then locally led organizations will begin the true rebuilding efforts of Ecuador. Teachers will teach, entrepreneurs will emerge, and local businesses will create jobs. When this starts to happen, that is when you should visit and volunteer your skills in Ecuador. In the future is when we need your help to tackle the “talent gap” – the idea that local citizens know best what their country needs, but can use some technical, business, and/or creative skills to make a bigger impact, faster. Be patient, your time will and then you can truly make a sustainable impact. If you have to ask, you’re not an exception. The volunteers that are on their way to Ecuador right now already have training in disaster response, they often have previous experience, and they have been briefed on the true needs of the country. There is a science to solving the health, infrastructure, political, energy, and people management aspects of disasters, and how to respond to them. If you haven’t been trained on those, you’re not an exception to this rule. We firmly believe that everyone can volunteer their skills overseas and that there is a way to have world-positive vacations, but we also know that there is a right and wrong way to volunteer. If you are interested in helping Ecuador, please donate money, and ask your friends to donate, too. If you want to do more, hold a local fundraiser for cash (not supplies) and/or keep your eyes open for virtual volunteering projects in the coming days across media channels and through aid organizations already on the ground. Thank you for your interest in supporting Ecuador and the millions affected. We hope to support you in finding the best place to volunteer your skills when the time is right, but for now, please consider donating to GlobalGiving or another reputable organization.